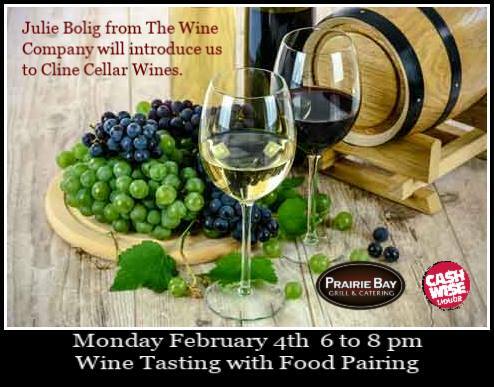 Join Julie Bolig from The Wine Company will speak on and let us taste the amazing wines from Cline Cellars. Food pairings will be served as you learn and sip. One bottle of wine will be given away to one of the attendees. Registration in advance a must. Registration closes at 11 am on Saturday February 2nd.